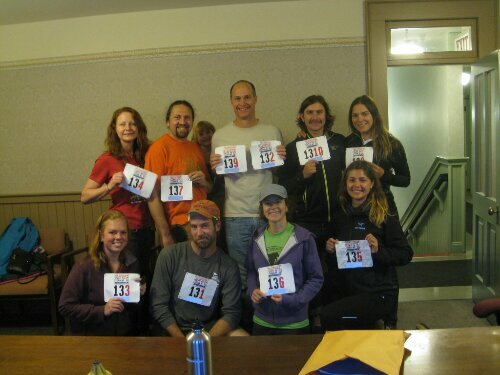 The Klondike Road Relay is a running race that runs from Skagway to Whitehorse during the first weekend of September. It started on a Friday evening, and our team ran all night up the Klondike Highway before crossing the finish line, 110 miles later, in downtown Whitehorse Saturday afternoon. Our friend Jaime connected us to the National Park Service team, where I ran leg 8 and Dallas ran leg 10 (the anchor leg). Each leg was anywhere from 7 or 8 miles to 16 miles long. The first two legs run up the White Pass (the reverse of our Sockeye Cycle Klondike bike tours), gaining 3292 feet of elevation in less than 15 miles. Dallas and I each ran between 12 and 13 miles for our respective legs. Our team was able to knock off more than forty minutes from their previous year’s time! 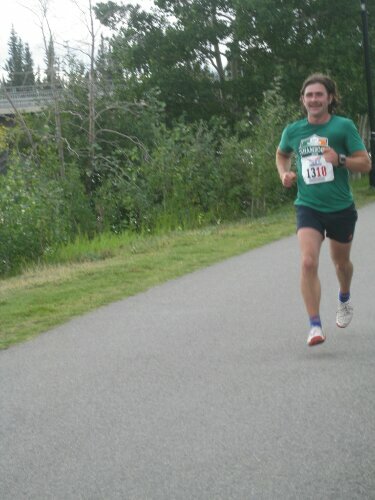 Posted on 8 September 2013, in Alaska, Races, The space between and tagged klondike road relay, race, running, Skagway, trail of 98, Whitehorse. Bookmark the permalink. Leave a comment.